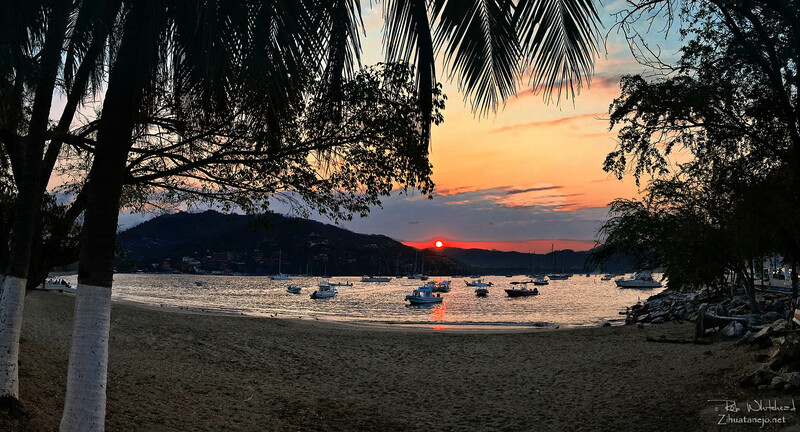 We continue to enjoy the absolute BEST WEATHER anywhere on the planet here on the Costa Grande of Guerrero. Just cool enough at night to sleep under a bedsheet, just warm enough in the day to make a cold drink taste great. Watched a family of tourists arrive this morning in their van from the highlands of Michoacán, and the first thing they did was peel off a few layers of clothing, grab their beach gear and head straight towards the beach with their little kids all excited and ear to ear smiles on everyone's faces. A scene that always warms my heart no matter how many times I see it. Even the ocean is cooperating. While the water has cooled slightly, it has also remained extremely calm in our bay so far this year. The surf hasn't been bad at the usual spots like La Saladita and Playa Linda, but we haven't had the huge groundswells that we seemed to have during much of last year. Great for the kids and the tourists at the beaches in our bay. Let's hope this nice trend continues. 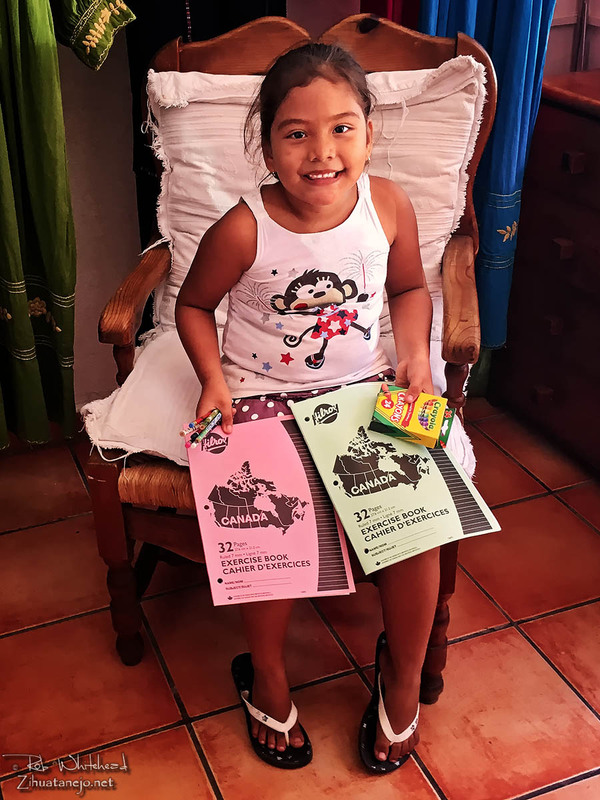 This little girl was extremely grateful for the school supplies. ¡Gracias! The sun only peeked out briefly this morning for a quickie, and I was happy to oblige. I like when people contribute stuff to schools, we do it here as well. Are notebooks and pencils/pens the most popular stuff the kids want? On halloween my wife gives out some treats but includes age appropriate toothbrushes and toothpaste along with...I always tell her if someone gave me a toothbrush I would be very tempted to say something not so nice. This list is from a couple of years ago, but the needs are still the same. Sorry, muy poco español is there an english version of this? Google chrome has a translate button on the address bar. It's your friend! Every post has a translate tool built in located just below the post on the right. Oops, sorry. There it is. Print the list and take it to the tienda de suministros escolares on the alley called León Philip behind the school on Juan Alvarez. Lupita will be holding a distribution of school supplies for about 26 kids around 6pm on Feb. 14 at Plaza del Artista. No big deal, but if you’re in town you might like meeting some of the children she helps. So happy to see those notebooks!Thought they might be the wrong sort. I have a whole box full here, waiting for me to find a low low fare. They come in packs of 4, and I got them on clearance for 15 cents a pack!